Google AMP aka Accelerated mobile pages HTML implementation to a website is very important due to its SEO benefits. AMP ready HTML pages in mobile search results get load much faster than normal pages. 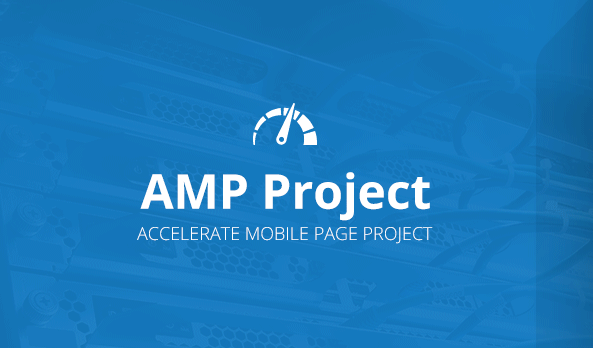 The Internet is already filled up with the articles and tutorials on AMP: Accelerated mobile pages Project. AMP was developed for HTML based websites but if you are WordPress user then don’t be sad because already there are numbers of AMP plugins are available in the WordPress plugins directory. Different developers have developed AMP plugins for WordPress to enable AMP ready WordPress pages. To activate the AMP theme for WordPress Bog just install the AMP: Toolbox plugin or AMP plugin. The AMP Plugin creates a simple or basic page for your WordPress and strips down all your fancy theme features including Google Adsense. So today in this tutorial we are going to how to customize the AMP pages to enable the Google Adsense functionality. In the above-given link, we have covered a free amp plugin called AMP Toolbox WordPress plugin enable one touch customization to your AMP theme. Now we are going to start the tutorial. Please use the child theme for your main theme. You implement this tutorial directly to your main theme but be sure when you updating the theme backup your amp folder which we are going to create and customize in this tutorial. If you are using the child theme then there is no issue because your update to the main theme will not go to affect the child theme folder. Step 1: Install the AMP plugin in WordPress and create a folder called amp in your theme folder. Step 2: Now copy the style.php file from amp plugins folder to your main theme or child theme folder. You will find this file under plugins->amp->templates folder. Step3: Open the functions.php of your child theme and paste this code at the end. I am asking to paste this code at the end because you can easily remember where you had pasted the code. Step 4. Go to child theme amp folder-> style.php -> find ‘nav.title-bar’ property and change the background color of the header. save it. Step 5. To customize the default WordPress icon with your logo, in the images folder of your child theme that you will find in hosting Cpanel file manager under WordPress->Wpcontent->themes->select your theme folder and create an ‘images’ folder under it. Now upload your icon or logo image to that folder. Then, copy this filter and paste it in your child theme functions.php file. Step 6: Adding custom PHP template file to the child ‘amp’ folder. Create a new file called ”my-single.php” and add it to the child theme ‘amp’ folder, then go to plugins->amp->templates-> single.PHP, copy the whole code from the single.php and paste it in ”my-single.php” you created. Then, copy this filter into your functions.php file of your child theme. Step 7: Customize the site header with your site name or logo Go to ”my-single.php” -> search <nav> </nav> between theses tags immediate below the <body> tag , you will see this code between these tags. Paste this piece of code between <nav> </nav> tag in amp->my-single.php and use it as footer, do changes as per your requirement. Paste this code immediate above this line of PHP code in the my-single.php. Step 10: Styling the Footer. Go to ->child theme -> amp -> style.php . Find out /*Titlebar */ or Footer and add the following changes. To change the color change the background value. That also means immediate above the closing </div> tag for content. Adding Google Analytic code to WordPress AMP page. To get your AMP page Analytic-ready , just copy the filter below and paste it in your functions.php file in your child theme folder. After adding the above code copy below code and paste it in the my-single.php file immediate below the <body> . Replace this XXXXXXXXX-2 with your Analytics code ID.